Berenberg Bank analyst Alex Maroccia reiterated a Buy rating on Trex Company (TREX) yesterday and set a price target of $89. The company’s shares closed yesterday at $76.54. Maroccia has an average return of 28.6% when recommending Trex Company. According to TipRanks.com, Maroccia is ranked #3054 out of 5215 analysts. The word on The Street in general, suggests a Moderate Buy analyst consensus rating for Trex Company with a $73.33 average price target, implying a -4.2% downside from current levels. In a report issued on February 15, B.Riley FBR also maintained a Buy rating on the stock with a $80 price target. The company has a one-year high of $90.74 and a one-year low of $50.72. Currently, Trex Company has an average volume of 591.3K. 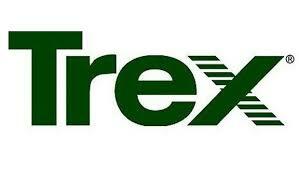 Trex Co., Inc. engages in the manufacture of wood-alternative decking and railing. Its products include deck framing and drainage, outdoor lighting, furniture, pergola and outdoor kitchens, fencing, collections, and accessory hardware. It operates through the following segments Trex Residential Products and Trex Commercial Products.